We offer even the smallest of closet systems to maximize your space and get you organized. 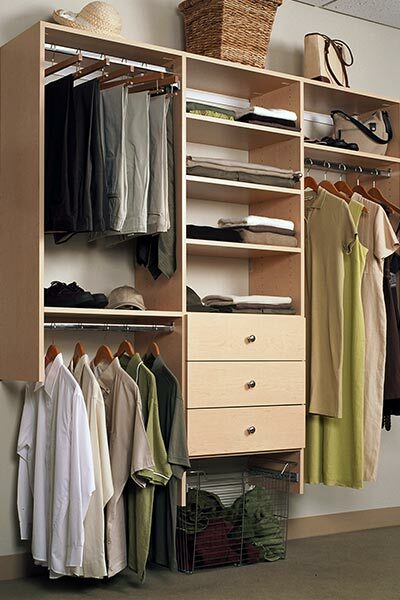 Often times, it's the smaller closets that get the biggest benefit from a new custom closet design from Closet Works! This custom reach-in closet design divides his and hers spaces with a central drawer/shelving unit and maximizes the amount of functional storage for a very small space. Drawers store hoisery, socks and underwear, keeping those smaller personal items organized, but out of site. 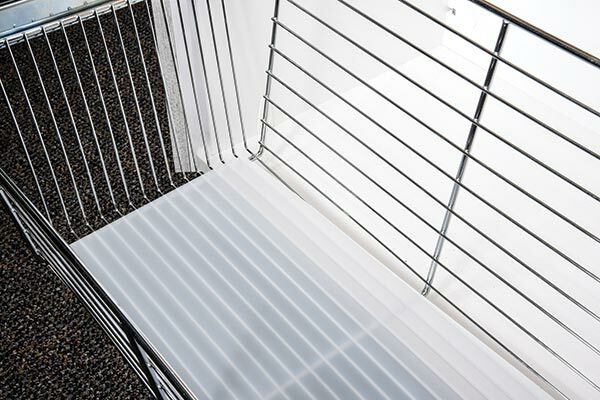 The pull-out wire basket is a great way to contain laundry, and the optional plastic basket liner keeps small things from falling through the bottom.